In early March, the Georgia medical marijuana bill was gaining steam and giving local families hope for prescriptive treatments for seizures. When the bill died on the House floor just weeks later, many families were forced to consider alternatives to obtain the much-needed treatment. The Callaways of Newnan have chosen a move to Colorado, where the law already has been passed. On Oct. 8, Beth Callaway will be moving her 16-year-old daughter, Maggie, who has intractable seizure disorder, to Colorado in hopes of finally providing relief and treatment. Maggie has been battling epilepsy and grand mal seizures since infancy. The Callaways are able to realize the possibility of a move to obtain treatment for their daughter because of State Representative Allen Peake. Peake's "Journey of Hope" is a charitable fund providing transportation and living expenses for six months to Georgia residents seeking to benefit from medical cannabis in a legalized state. For Beth Callaway, this is a groundbreaking journey for her family. Her husband, Kevin, and daughter at Mercer University, Katie, are staying put in Georgia until it is known how the medical cannabis will affect Maggie and if the treatment will be beneficial. Leaving home will be difficult for Beth, but for her daughter, it will be more than worth it. "The logistics of going to Colorado are overwhelming. Kevin and I have been married 25 years in December and it's not something we would have wanted to do back then, but we're doing everything we can for this little girl," said Callaway. "We're not looking for 100 percent, we're just looking for any improvement." "Honestly, I don't want to move, but it's not about me it's about her," Calloway said. "If the bill passes [in Georgia], great, but it could take years for a treatment program to be put in place. We don't have that long." Callaway says her daughter looks like a 16-year-old, but mentally, is more like a 3-year-old. She's had more than 1,600 seizures in her lifetime that have damaged her development. 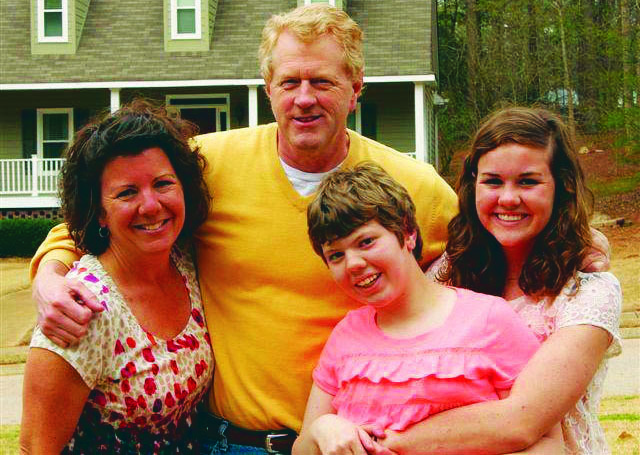 She attends Newnan High School when she can, but, most often, Maggie is unable to stay more than two hours before suffering a seizure. "When she's in a good state, she wants to show you things, she takes you by the hand, she shows you pictures," said family friend Marla Brandenburg, who helped set up Maggie's GoFundMe account two weeks ago. "When she's in a bad state, it's like she's in another world and it's so draining." "On a bad day, Maggie is a petite adult in a zombie-like state," said Callaway. "She is slow to respond, nonverbal, unable to eat, sluggish and lethargic, and has tremors. She often wanders and can't sit down. We have two or three good days each week, but in the remaining days, Maggie is a different child." Months ago, Peake proposed a bill that initially received overwhelming approval in the Georgia House and Senate. Then, according to a report from WGNO, the bill stalled and died likely due to an attachment of an amendment requiring insurance companies to cover the cost of treating autism in children. Callaway was critical of the politics keeping a potentially helpful and lucrative medicinal treatment from passing. "It's cruel to be unable to utilize something that grows out of the ground," Callaway said. "It should be my right as a parent and adult to choose that for my child." 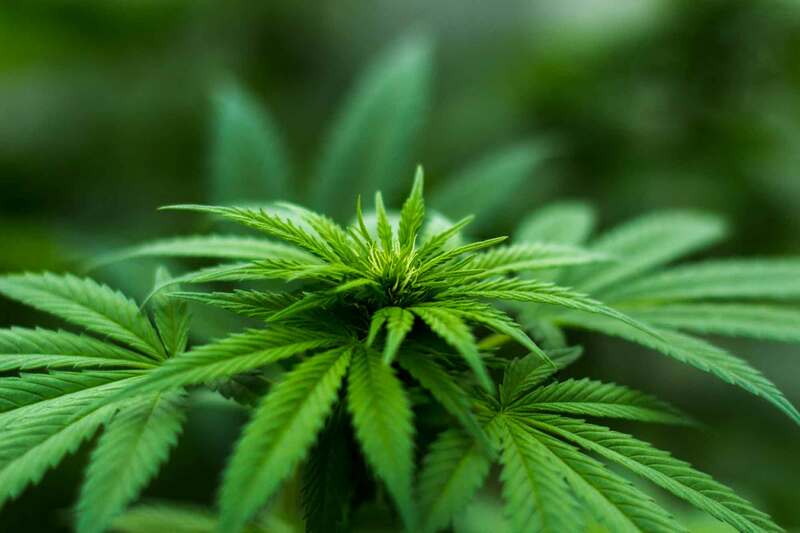 Brandenburg, a neighbor of the Callaways during their 20 years at Lake Redwine in Newnan, is a self-proclaimed staunch Baptist who's never smoked marijuana and strongly opposes the recreational use of the drug. Two years ago, Brandenburg learned of the medical benefits of cannabis oil, which is of a different strain than what is used recreationally and possesses none of the psychoactive side effects. "Marijuana is a natural substance and could be used for medical reasons that are positive," Brandenburg said. "There is still a strong stigma, however, and the state does not want it to be associated with recreational use of marijuana. It's hard for many to understand the difference in the substance used for medical purposes and that which is used for recreation." Brandenburg is saddened by the Callaways having to be split apart to find a potentially helpful medical treatment in Colorado, where a marijuana bill passed in 2000. Callaway has scoured articles regarding the use of medical cannabis as treatment for seizures. She maintains that even the tiniest improvement in Maggie's battle with grand mal seizures would be priceless and well worth the sacrifices her family will make to receive treatment in Colorado. "I do not expect a complete recovery. Maggie is a conglomerate of unchartered water, and it sounds like desperation — and I guess it is — but you just want your kid happy and healthy. Worst-case scenario, it doesn't work and we come back right where we started. As parents, we have to take that journey for her."